You can listen to this episode above and subscribe to our podcast on iTunes. You can also listen to this episode on Stitcher, Cyber Ears or download it on Archive.org (54mins, 46MB). This episode features Nick’s talk ‘The Emotional Lives of Animals – Adrenalin Junkie Orangutans and Individualist Sheep’. This talk is embedded below and you can also listen to the full talk as well as the Q and A afterwards here. You can view the PowerPoint presentation for this talk here (it is also embedded below). This presentation features visuals and links to all of the sources referred to throughout the talk. ‘Crow Makes Tools’ – audio NOT featured in the recording of the talk. ‘Sophie’s Choice’ from Melanie Joy’s talk ‘Carnism: The Psychology of Eating Meat’ (it starts at 25 minutes) – audio featured in the recording of the talk. 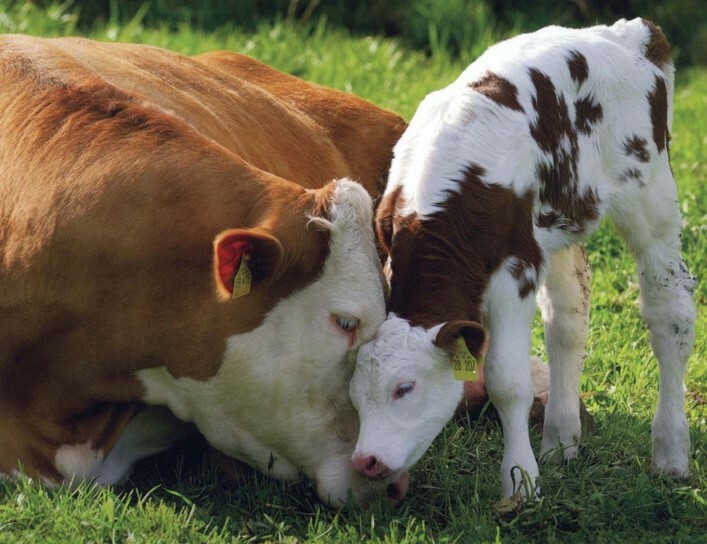 ‘Karma’s Reunion’ by The Gentle Barn – only a little bit of the audio is featured in the recording of the talk. ‘Edgar’s Mission Trip: Off to see Baby Piglets’ by Soy Cappucino – audio NOT featured in the recording of the talk. ‘Stephen Colbert on Temple Grandin’ – audio featured in the recording of the talk. 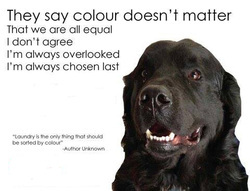 We also discuss how central veganism should be to the animal advocacy movement (in reaction to the Q and A following the talk played on this episode), mention Nick’s article on vegan dogs and encourage people to support Vine Sanctuary – check out Jess’s interview with pattrice jones from Vine Sanctuary for more about this sanctuary. Unlikely Loves by Jennifer S. Holland. The Smith Street Band ‘When I Was a Boy I thought I was a Fish’, Lowkey ‘Tell Me Why’, Nick’s talk ‘The Emotional Lives of Animals – Adrenalin Junkie Orangutans and Individualist Sheep’ – PowerPoint for the talk and full version with Q and A, Western Addiction ‘Animals and Children’. You can listen to a short (4 minute) version of this episode, which features our book recommendation for ‘Unlikely Loves’, below. You can subscribe to these short versions of our episodes through Omny. You can listen to this episode above and subscribe to our podcast on iTunes. You can also listen to this episode on Stitcher, Cyber Ears or download it on Archive.org (48mins, 34MB). 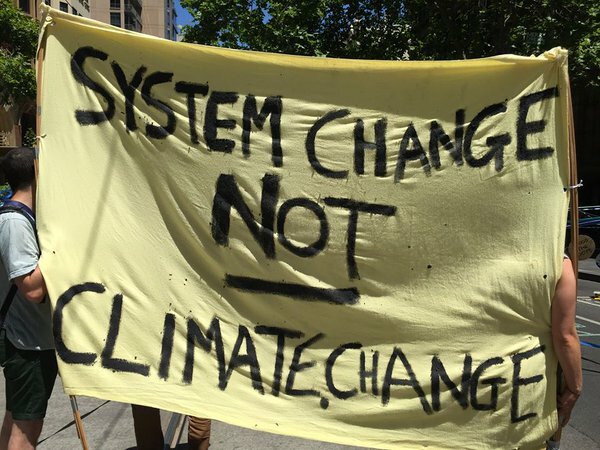 This episode features an interview with Coggo from Melbourne Street Medic Collective on the recent #FloodTheSystem direct action for climate justice. 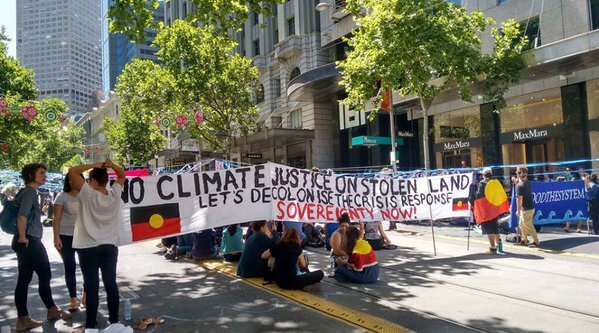 This was an Australian-wide action and Coggo focuses on the Melbourne action, where activists shut down the entrances to Westpac, BHPBilliton and part of the CBD. You can see videos of the action on the No Frontiers Facebook page and Counteract have done a write-up on the event. In the interview with Coggo, he also discusses critiques of climate marches, Western Australian Premier Colin Barnett says he will only tolerate “passive” protests, the importance of direct action and the need for social movements to always encourage people to do more. Pic from @InsurrectNews on Twitter. Also covered on the episode some analysis of the Paris Climate Agreement, thanks to Alex Whisson and Caroline Smith from RTR92.1FM Indymedia. You can listen to episodes of this show here and you can listen to individual interviews through perthindymedia.net and Soundcloud. You can also read the full Paris Climate Agreement here. There is also some discussion on Malcolm Turnbull’s (in)action on climate change. We finish the episode with some points on the science show Cosmos and anti-capitalism. The Lurkers ‘Whose Got a Padlock and Chain?’ – see a video of #FloodTheSystem activists singing this during the action, Indymedia – 14/12/15 episode – with Alex Whisson and Caroline Smith, Interview with Coggo from Melbourne Street Medic Collective, Logic ft Muslimah ‘This is our World’. 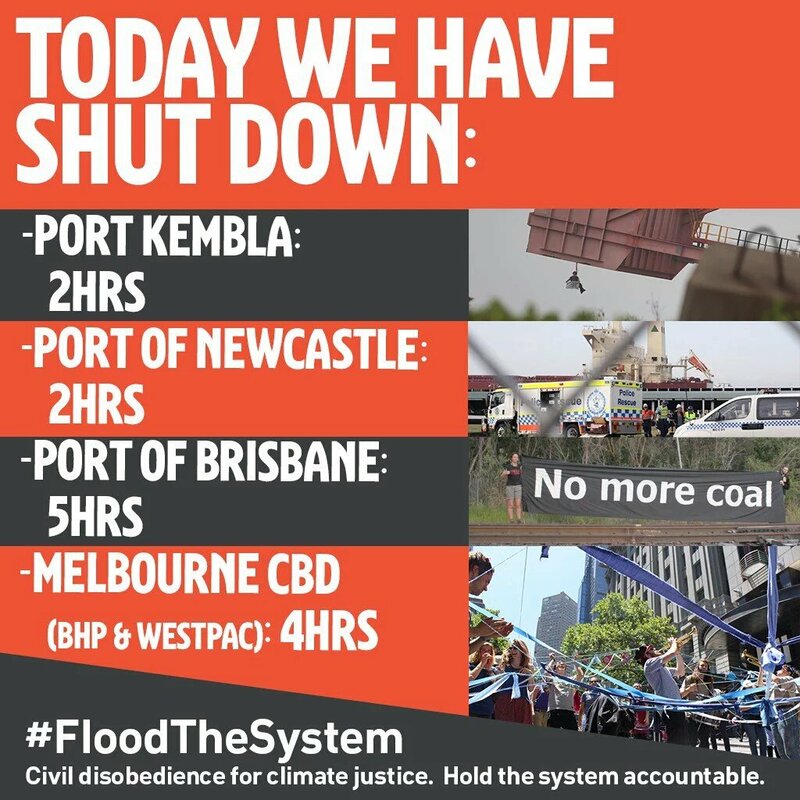 You can listen to a short (10 minute) version of this episode, which features a shortened version of the interview with Coggo on #FloodTheSystem, below. You can subscribe to these short versions of our episodes through Omny. *Quote from the Logic song ‘This is our World’, which we finish the episode with.